It was the great gold rush of 1864 that lead to the founding of Boise County, and within months of that date thousands had flocked to the area in search of riches! While the old timers have long since moved on their legacy remains and the people who are drawn to this area for the rugged beauty it holds find themselves richer still. Today Boise County is known for some of the most desirable real estate in Idaho; it's a wonderful place to call home! For those who love the outdoors you will find yourself in welcome territory. For those who still want all the city life has to offer, there are plenty of amenities at hand as well. 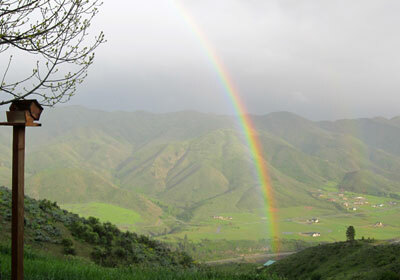 Just a short drive from the city of Boise Idaho and you will find yourself free from the every day stresses. Here you’ll find the leisurely pace and friendliness of a small mountain town life blends well with the modern world, making time for the more important things in life. This region is known for it's vast natural open spaces, and stunningly crisp blue skies. Rivers and streams criss cross the area bringing life to every corner, as you will notice by the abundant wildlife including deer, elk, bear, and mountain lion. Not to worry though - while there are plenty of creatures there's no short supply of creature comforts as well! Throughout Boise County you will be welcomed into its communities by hardy hearted folks who love calling it home! Garden Valley itself is made up of a handful of smaller towns including Banks, Crouch, and Lowman. These locations offer wonderful examples of Idaho mountain living as well as some of the most beautiful scenery you could ever hope to find. Whether you're just passing through or already call Boise County home you will never find yourself out of things to keep you busy! 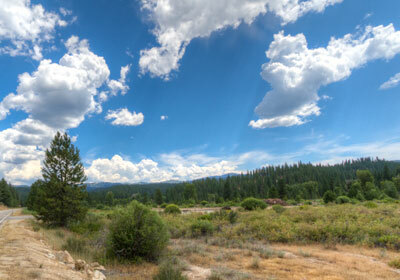 This region is known as the gateway to the Sawtooths and offers world class recreation opportunity year round. Home to the Boise National Forest which covers over 2,612,000 acres with elevations varying from from 2,800 feet in the North Fork Payette River Canyon to nearly 10,000 feet atop Steel Mountain. There's plenty of room to roam here! The Boise National Forest alone hosts over 1,200 miles of trails ranging from leisurely strolls to steep mountains, dense forests and everything in between! And not just in the warm months - back country skiing, snow shoeing, and sledding are huge in Idaho. Bill Dance, eat your heart out! Idaho is home to some of the best fishing in the world; people come from all over to enjoy our wild rivers. And it's no surprise! 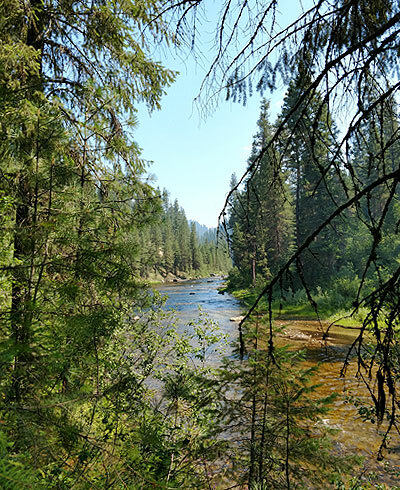 Major rivers that run through the Forest with great fishing include the the North, Middle and South Forks of the Payette River; the North, Middle and South Forks of the Boise River and the South Fork Salmon River. Common species include Rainbow Trout, Steelhead, Sockeye Salmon, as well as a variety of white fish and perch. Even once you live here you'll still want to get "out there" and take in the natural beauty. Fortunately there are over 70 campgrounds on the Boise National Forest alone. Regardless of if you like to go "glamping" or really rough it up you will have no trouble finding the perfect spot - campgrounds here offer a wide range of accomodations from the primitive to the luxurious. Often this is the first way people fall in love with the area - just taking a drive and taking it all in. You won't be disappointed either as every turn offers another great view. The scenic byways are well known but any winding road you find yourself on will be a welcome adventure through lush evergreen forests as you chase mountain streams on their journey to the sea. The road home starts right here! We would love the opportunity to help you find the perfect place in Boise County to call home. Over the years we've lived and worked here we've fallen in love with this area, as everyone who experiences it does, and we welcome the chance to share it with you.